What is a barn or warehouse cat? Barn/warehouse cats are feral and unfriendly cats that were likely trapped in an urban or residential setting and require relocation. Since they are feral (wild), they have never been – and would not be – suitable as a household companion pet. Once HSMO has vaccinated, tested for feline leukemia, spayed/neutered and notched the ear tip, the cats are ready to provide service in exchange for daily food and water in addition to the rodents they catch, protection from the elements and long-term vet care. What does a barn/warehouse cat do? They will help keep rodents away from grain and food storage areas or keep rodent populations in warehouses in check. 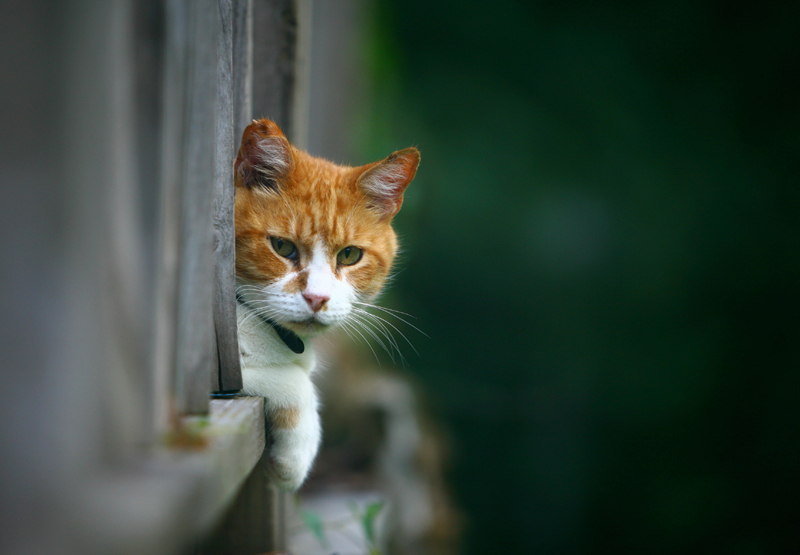 The presence of resident barn cats may also help discourage stray cats from using your property as a breeding site. Since these cats have been spayed or neutered, they will not present you with litters of kittens or the loud yowling associated with the breeding season. Feral cats are not friendly and will not seek out people for affection. What do I have to provide to the cat? Barn or warehouse structure that can be closed. Open structures such as sheds or pole barns that have one or more open sides do not usually provide enough cover or protection for the cat. You provide daily food, water, protection from the elements and long-term vet care. What do I need to do to adopt a Barn Cat? Call 314.951.1562 or email HSMO requesting a barn cat placement. If we have a suitable barn cat candidate HSMO will spay/neuter, test for feline leukemia and tip the cat’s ear. The ear is tipped to alert anyone who comes into contact with the cat that they have been spayed/neutered and released. Provide a safe confined space for 3 weeks while the cat acclimates to your property. A tack room, hay loft, or other enclosed room is best. If no room is available you can create a safe space using two large wire crates within a sheltered building. You provide daily water, food, a hiding space and litter box. 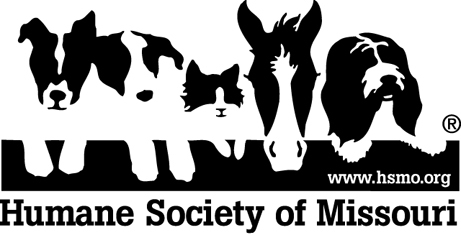 Sign the Barn Cat Adoption Agreement and pay for the required rabies vaccination. How do I set up my enclosure for the cat’s first three weeks? Place bowls for daily provision of food and water where you and the cat can access them daily. Place a litterbox inside the room. Make sure the cat has several places within the room to hide as you come in and out. Make sure the cat is protected from the elements. Use two 2’ x 3’ wire dog crates that are wired together to provide adequate space for the cat. The cat must have a minimum of 4 square feet of space; is not less than 24” high; has enough room to stand, lie down, turn around and stretch without touching the sides or top of the cage. Place the food, water on one side of the enclosure and the litterbox on the opposite side of the enclosure. Provide food, water, shelter and litterbox. Provide the cat a hiding place so that you he/she feels safe as you replace the cat’s provisions. Use a small carrier with the door removed so the cat is not accidentally locked out; or you can use the top portion of a covered litterbox. Cats also like to perch above the ground and may also sit on top of the hiding place. Place a rug or blanket inside the hiding place for their comfort. 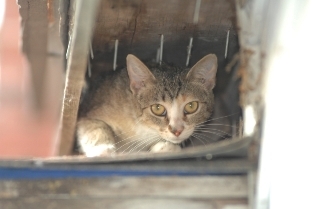 Expect the feral cats will to make a mess of their confined space. Close the barn or warehouse at night if possible. Set up a permanent feed/water station. Leave the cat’s cage or room door open at night. The next morning proceed with daily activity in the barn as usual. The cat has had all night to find a hiding spot. Leave the cage up for another 5 days in case the cat wishes to return as they get acclimated to the larger space. The goal is to get the cat to think of that barn as home and decide to stay. Continue to provide daily food, water and protection from the elements so the cat has no reason to leave their safe new home.